Plants are a lovely addition to any home, but did you know that there are actually air purifying plants that can help make your home a healthier place to live? It's true–there are actually many indoor plants that clean the air and remove toxins. Plants are a favorite thing that many like to add to their living situation. Plants bring nature inside, and that's a good thing. Connecting with nature has been shown to have many health benefits, but even that aside, plants simply beautify any environment. But there's more–it's really true that plants clean indoor air. In this article, we will talk about plants that are pretty to look at, but also are some of the best indoor plants that clean the air and remove toxins from your living environment. We all want our homes to be a safe place to retreat. We work hard to make sure our family feels comfortable and supported, we strive to serve nourishing whole foods, and we carefully research before bringing things into our home that might contain toxins. And yet, our physical homes are sometimes not the healthiest place to be because of poor indoor air quality. Did you know that one of the easiest ways to improve air quality is to grow air cleaning plants indoors? It's true. Now, before you say you have a brown thumb and kill everything, let me say that there are some plants that are super hard to kill. If you try you can kill them, but you’d have to try. For years, I believed that I could not grow indoor plants. The reality was, I preferred to grow plants outside since those plants feed my family, and thought that indoor plants were too fussy. So, I used the “brown thumb” excuse. Then I came across a study from NASA about indoor air quality and decided that indoor plants were worth looking into. I wasn't interested in all indoor plants–just the indoor plants that filter air. Because in my life, things have to have more purpose than just being decorative. You probably already know that houseplants (or any plant at all, for that matter) are good for exchanging carbon dioxide and oxygen, but did you know that some plants are also good at removing toxins such as formaldehyde, ammonia, benzene, trichloroethylene, xylene, and that they even address mold spores at least by suppressing their effects? It's true! But just where do these toxins come from? 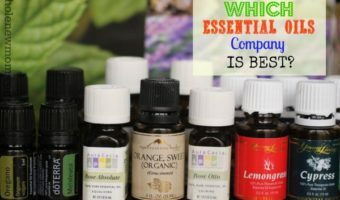 Well, from many places, but they definitely come from the out-gassing in the building of the home, from furniture, from cleaning products, and pretty much anything we bring into our home. In years past, homes were more ventilated than they are today. Windows and doors weren’t quite sealed all the way and indoor and outdoor air were more easily exchanged. Homes were built with windows on opposite sides of the room so the windows could be opened easily for a good cross breeze. These days, most homes are built air tight to reduce energy consumption with ventilation only happening through the attic. This is one reason why air purifying house plants are so important and worth the effort. The good news is the 11 plants I’m sharing with you today are easy to keep alive with very little care. Each plant has its own growing environment requirements, so in addition to the tips that I'm sharing, be sure to check the tag that comes with your plant or ask the workers at your local nursery. Potting soil is developed for growing plants in containers–not in the ground. Container plants need loose soil, but they also need the soil to be able to hang on to some moisture and not let the water run straight through. This was probably my biggest issue with growing houseplants. 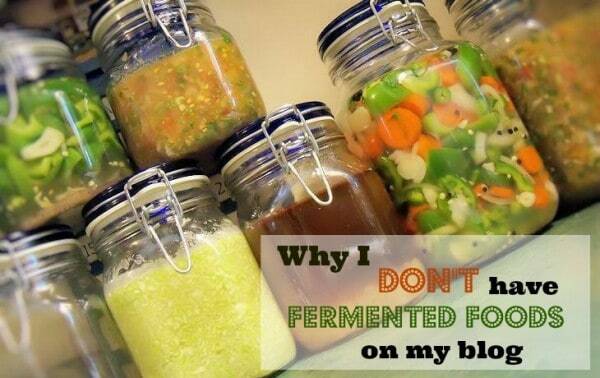 I wanted to use the soil and compost from my garden because it was free and grows amazing vegetables. However, it didn’t work well indoors. All plants need some light in order to grow. They use the light and chlorophyll in the leaves to make food. If you find that a low light plant isn’t doing well consider putting it on a covered porch for a few days (not in direct sunlight) or near a sunny window. Here is one “DIY lighting system” that a friend taught me; she has two “sets” of indoor plants. They aren’t identical but they’re interchangeable. One set is in the house while the other set is on the covered porch. She swaps them out every couple of weeks. It only takes about 10 minutes and she’s now able to enjoy air filtering houseplants in her home that has very little natural lighting. When I got serious about growing air filtering plants indoors, I first got a bamboo for the bathroom. I decided that if I could keep it alive for three months, I’d get another plant, rather than purchasing multiple plants at the get go. My advice is to not start growing all of these air filtering plants at the same time since it will easily be too overwhelming. 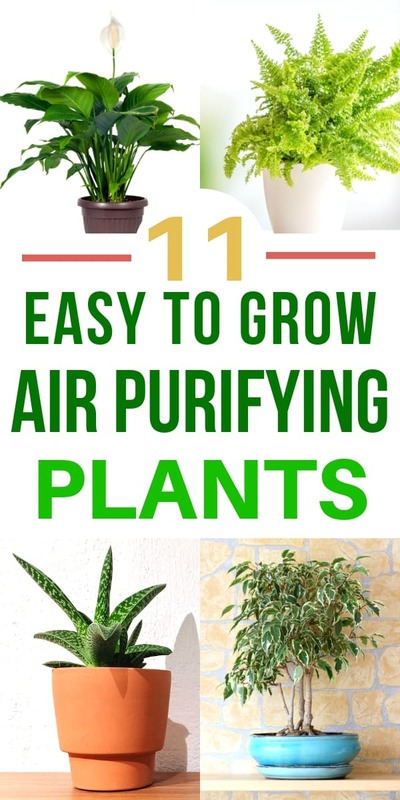 Following are 11 plants that have been proven to clean the air, as well as links to where you can purchase them, if you'd like to do so. I think you'll be amazed at all that these purifying powerhouses can do! 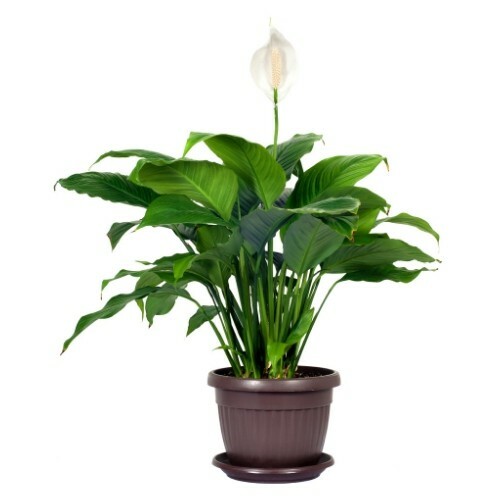 Peace Lilies remove formaldehyde, ammonia, benzene, trichloroethylene, and xylene from the air which makes one of the best air purifying plants. Peace lilies like bright, indirect sunlight; although they’ll grow across the room from a window, they won’t flower unless they are in the sunlight, so put them near a window if at all possible. Some say that studies show that Peace Lilies absorb mold spores but I could not find documentation of this. Peace lilies like evenly moist, well-drained soil. Boston Ferns remove formaldehyde and xylene from air. They are a tropical plant and like moderate temperatures and lots of humidity with lots of indirect sunlight. A bathroom with a window is a good place to grow Boston ferns. 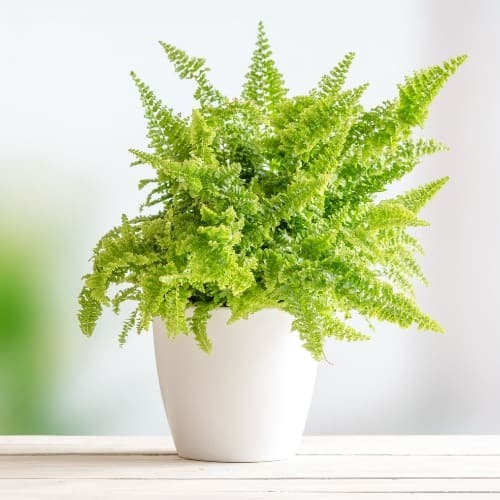 Mist the leaves of your Boston Fern with water several times a week, or put the pot in a shallow tray with pebbles and water, to increase the humidity around the plant. Boston Ferns also like the soil to always be moist. 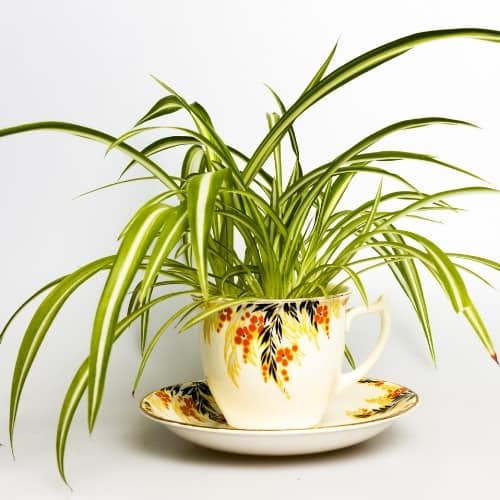 The Spider Plant is another plant that removes formaldehyde and xylene and also likes consistent soil moisture. Spider plants like a lot of indirect light so place them near a sunny window. They grow well in hanging pots as long as you keep the soil moist. The Snake Plant removes formaldehyde, benzene, trichloroethylene, and xylene from the air. It is also one of the hardiest plants around. 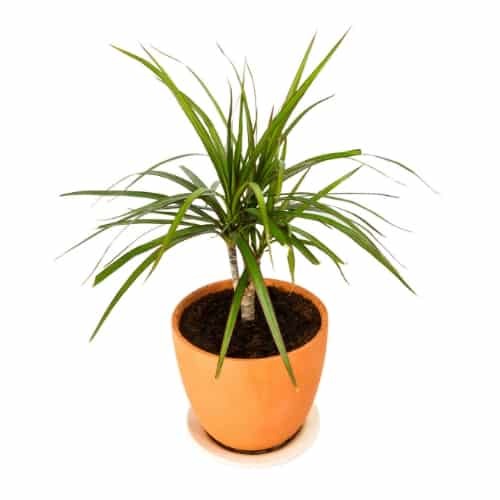 While Snake Plants like any indirect sunlight, low or high, just don’t put this plant where it gets direct sunlight. It also doesn’t require much watering and can go two to four weeks between watering. Make sure the soil completely dries out between watering so the roots don’t rot. 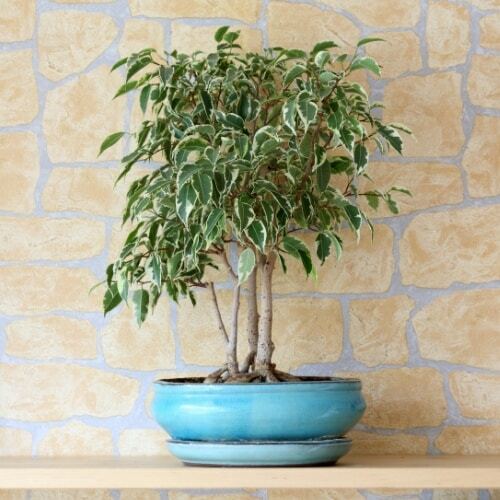 The Weeping Ficus removes formaldehyde and xylene from the air. Ficus plants like bright light, so put it near a window that gets light. Ficus is a tree and will keep its tree shape regardless of how big it is which makes it an interesting plant if kept in a smaller pot. Like many of the other plants mentioned Ficus like a humid environment and will do well with regular misting – misting every couple of days. But they don’t like their roots to always be wet so if the top of the soil is damp wait a few days before watering again. A weekly watering should be sufficient. English Ivy removes formaldehyde, benzene, trichloroethylene, and xylene from the air. 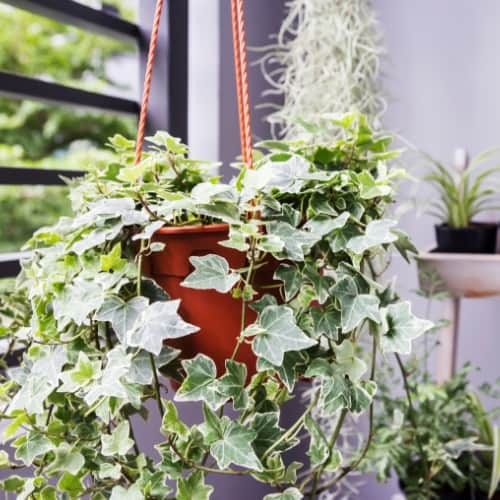 Ivy is a fun climbing plant and looks nice in hanging pots, dangling from shelves, or growing up a topiary. This ivy likes humidity, so a weekly misting with water is a good habit. It also likes bright light but indirect sunlight is best as direct, harsh light will burn the leaves. English Ivy is on many noxious weed lists so be sure to check your local list before planting it outside. One study focused on English Ivy's ability to remove mold spores from its environment, making it a particularly attractive option to address indoor air. Aloe Vera is a common household plant mostly used for treating minor burns, cuts, and scrapes. But it’s also an air filtering plant. Aloe vera removes formaldehyde and benzene from the air. Aloe vera is pretty hard to kill as long as you give it bright light and don’t over-water it. It stores a lot of water in its leaves and only needs to be watered once or maybe twice a month. 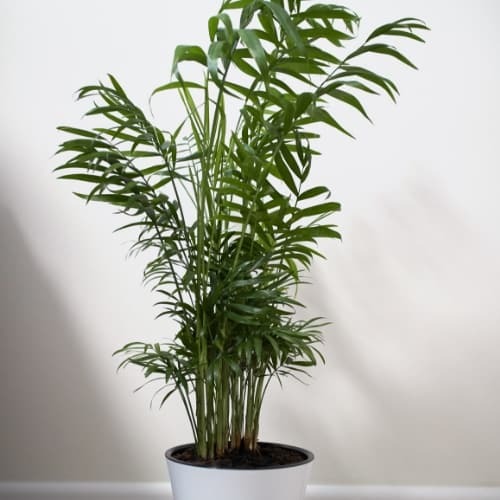 The Bamboo Palm and other palms like the Parlor Palm remove formaldehyde and xylene from the air. Bamboo palms prefer bright indirect light but will tolerate medium and even low light if you don’t over water the plant. When the top 1/3 of the soil depth is dry, water until the soil is evenly moist. Don’t let the Bamboo Palm sit in the excess water that drains from the pot. Other than that these plants are pretty easy to grow indoors. 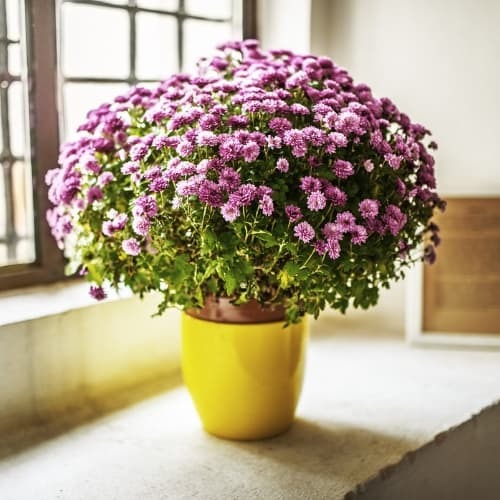 The Pot Mum or Florists Mum is another superstar when it comes to removing indoor air toxins. The pot mum will remove formaldehyde, ammonia, benzene, trichloroethylene, and xylene from the air. Pot mums like bright light and damp soil. You’ll probably need to water this plant twice a week. Most people only keep pot mums around while they are flowering and toss them when the flowering season is over. However, you can put them outside (as long as they don’t freeze) and they will probably flower again the next summer at which time you can bring them back inside. The Golden Pothos or Devil’s Ivy removes formaldehyde, benzene, and xylene from the air. This is another fun trailing plant that can be grown in hanging pots, draped off shelves, or climbing a moss pole. If you have a friend with one of these plants, ask for a cutting and root well in a glass of water. After they’ve developed roots, transplant into a container. Golden Pothos plants prefer bright indirect light and regular misting with water. However, they do not like water-logged soil so let it dry out before watering again. The Dragon tree removes formaldehyde, ammonia, benzene, trichloroethylene, and xylene from the air. It’s also a really interesting-looking plant, adding an Asian or modern feel to the environment. Dracaenas like bright indirect sunlight but can acclimate to lower-light situations, but the leaves will be thinner. For better growing, let the top 50% of the soil dry out before watering and don’t let the pot sit in a saucer of water. As you create a safe home for your family, don’t overlook the air that you are breathing. 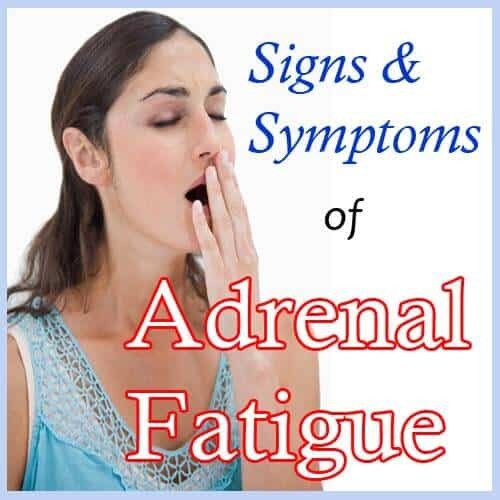 There are many things we bring into our home that affect the quality of our indoor air. Growing indoor plants that clean the air and remove toxins is an easy and fun way to improve air quality and add beauty to our homes. 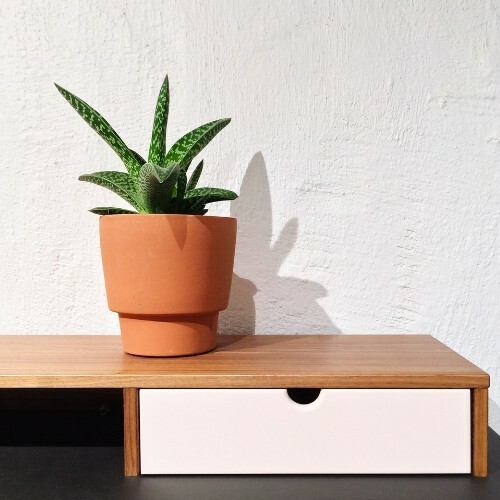 One thing to note is that there is some conflicting information regarding how much benefit there really is to having plants in your home as far as how much the air is really improved. 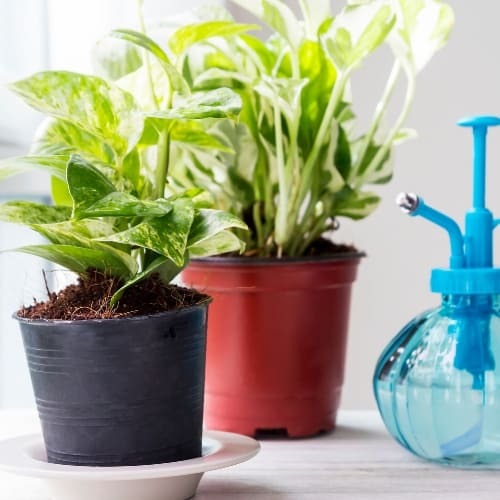 It is clear that healthier plants will improve air quality more than their unhealthy counterparts, and we all know that there are other benefits to having plants in a home besides air cleaning properties. Some studies indicate that you would need a huge amount of plants in a home to make any significant benefit, while others say that other studies show that those studies are too pessimistic. Regardless, if you add all of the benefits of plants together, it seems that adding them ones home is a good idea. 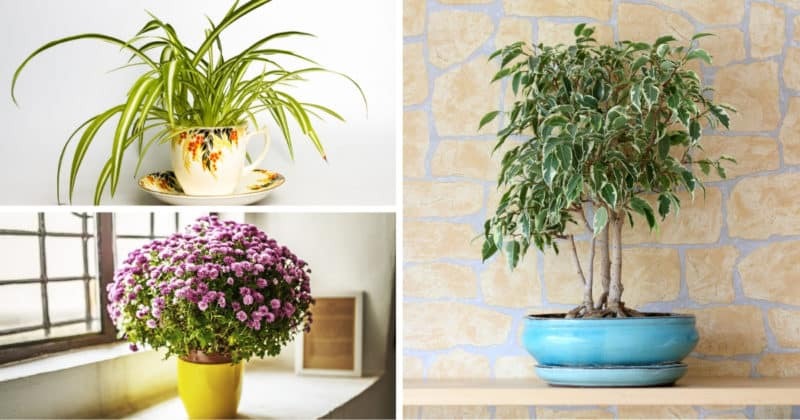 Have you tried to grow any of these air purifying plants? Angi Schneider lives on a small homestead along the Texas Gulf Coast with her husband and children. 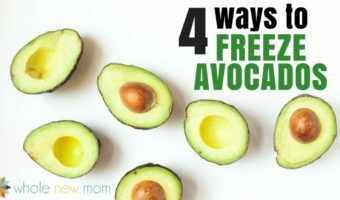 For over 25 years they have sought to reduce their dependence on commercial products and the grocery store by growing food, living a DIY lifestyle and cooking simple, tasty meals from scratch. Angi shares their journey on her site, SchneiderPeeps.com. You are welcome! I didn’t know about all of this until now–very surprised at how much plants can do! This is very informative thanks! You have inspired me to get some more houseplants! You are so welcome and thank you! Enjoy your plants! Thank you! 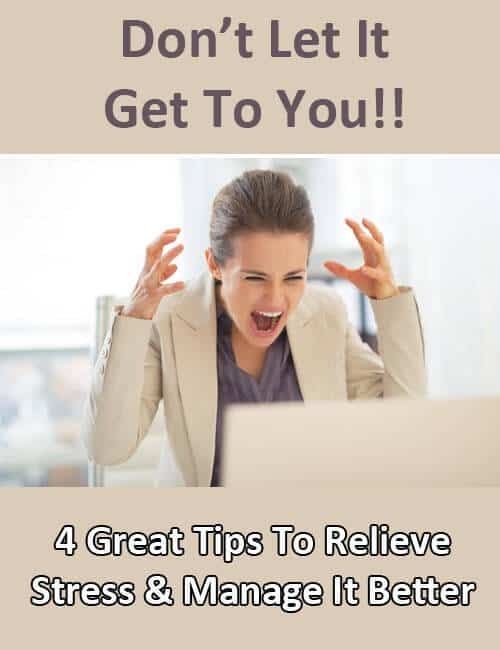 Such a helpful post. We just moved into a new house, and we’re starting this process. You are so welcome. Congrats on the new home! Would love to hear what you choose!